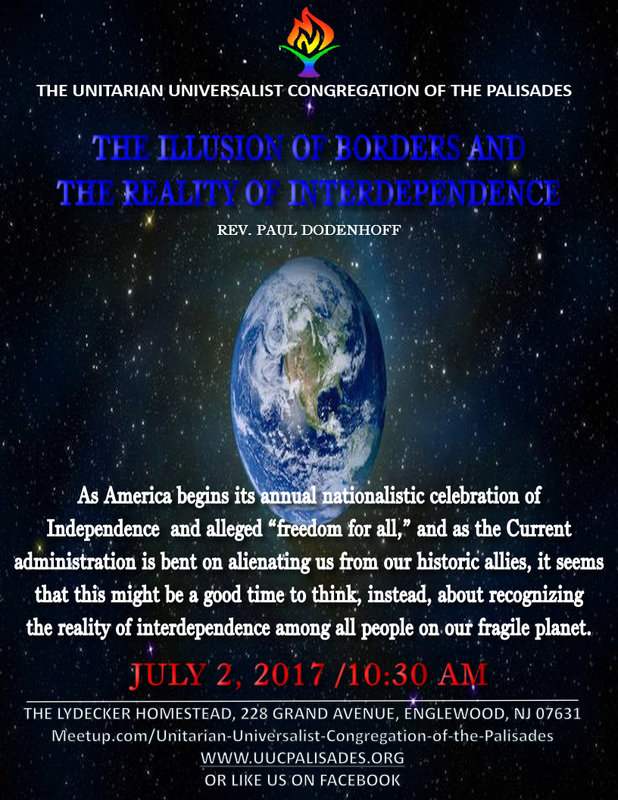 Please join us for today’s service at 10:30 a.m. led by Rev. Paul Dodenhoff. 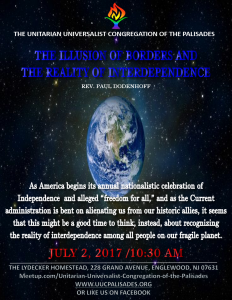 As America begins its annual nationalistic celebration of independence and alleged “freedom for all,” and as the current administration is bent on alienating us from our historic allies, it seems that this might be a good time to think, instead, about recognizing the reality of interdependence among all people on our fragile planet.